Pictures paint a thousand word, and Paint can put a thousand words onto a picture. 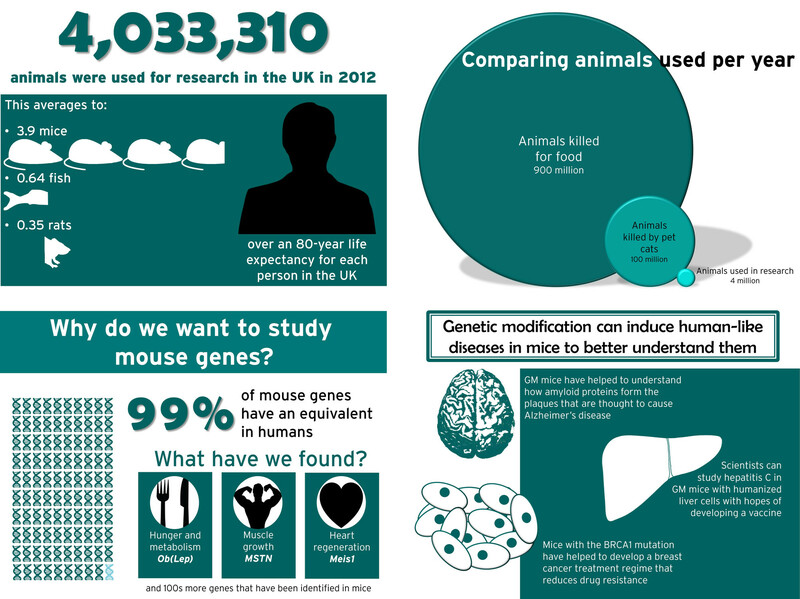 This is what Understanding Animal Research (UAR) have been doing recently with a series of infographics. 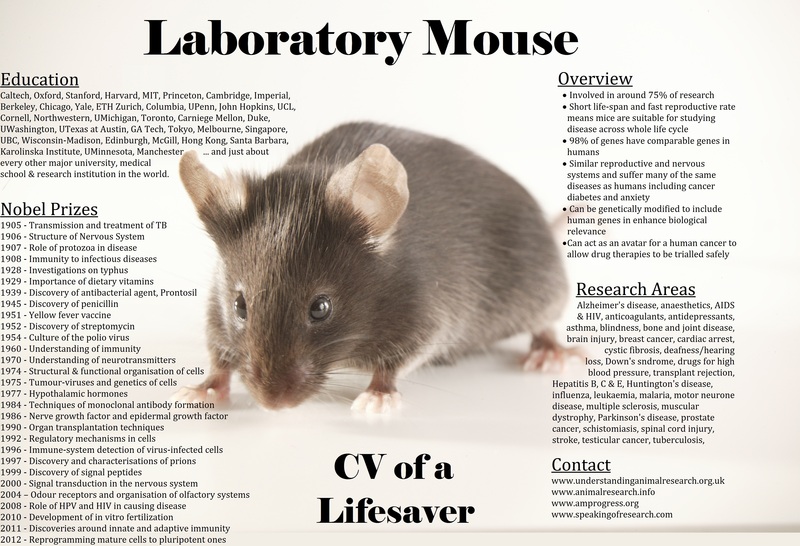 The first example is this wonderful Resume of Laboratory Mice, which notes their contribution to medical advances, including the Nobel Prizes won. UAR also produced a series of images for the release of the UK stats on animal research. Here is one set of pictures below. UAR have also begun creating a weekly animal research roundup in pictorial format – perfect for sharing on Facebook, Twitter and Reddit. Here is an example from last week. 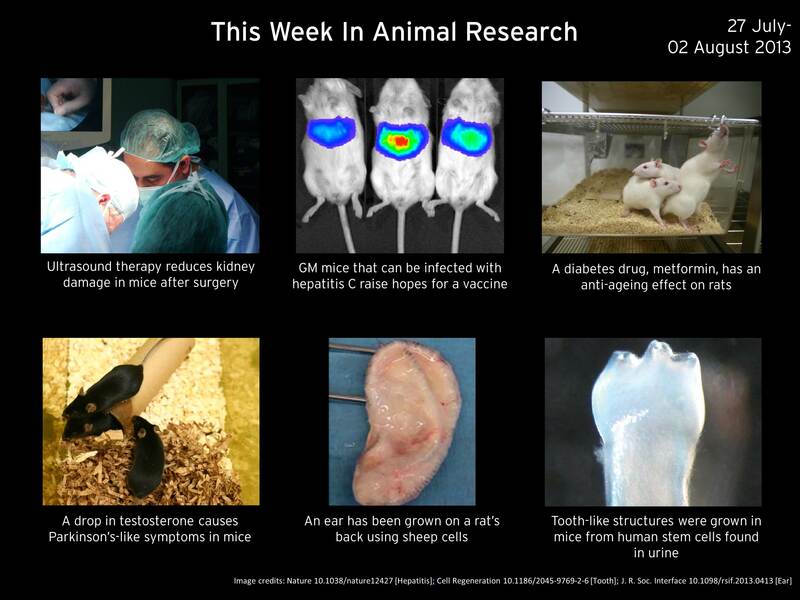 These weekly images can be found on the UAR animal research newsfeed. Posted on August 7, 2013 by EditorPosted in News, Outreach News, Science NewsTagged animal research, animal research roundup, laboratory mouse, memes, pictures. Previous Previous post: Advancing Medicine through Experiments on Animals: Room for Improvement?